Carnival Cruise Lines has been silent about its new ships but finally some news on the upcoming Carnival Vista with the ship’s keel laying ceremony. 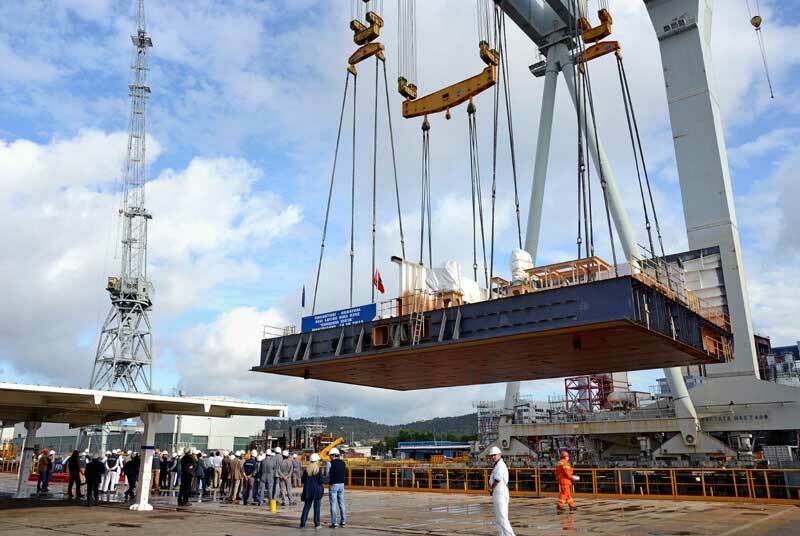 The construction milestone was made on October 14th at the Fincantieri shipyard in Malfalcone, Italy. The ceremony was traditional which dates back hundreds of years. The Miami based cruise line has not revealed much details about the ship but what we do know is that it will be the largest ship ever built for Carnival at 133,500 tons. Currently the largest ships in the fleet are the Dream class vessels including Carnival Dream, Magic and Breeze at 130,000 tons. The Carnival Vista is expected to bring several new experiences and features which are not on any of the other ships along with all the FUN 2.0 upgrades that most Carnival ships now have. All the new details including the Carnival Vista’s itineraries will be announced by Carnival early in 2015. New renderings of the ship are yet to be released so nobody yet knows what the cruise ship will look like. The ship will carry 3,954 passengers when it debuts in Spring 2016.